How far would you go for a friend? 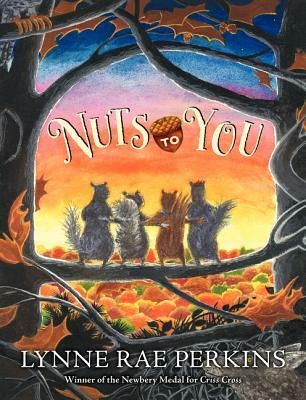 In Nuts to You, the funny and moving illustrated novel by Newbery Medalist Lynne Rae Perkins, two squirrels go very far indeed to save a friend who has been snatched up by a hawk. Nuts to You “begs to be read aloud . . . another completely original and exceptional package from Perkins,” said the Horn Book. Nuts to You features black-and-white art by the author on every page, as well as exclusive material original to this edition.